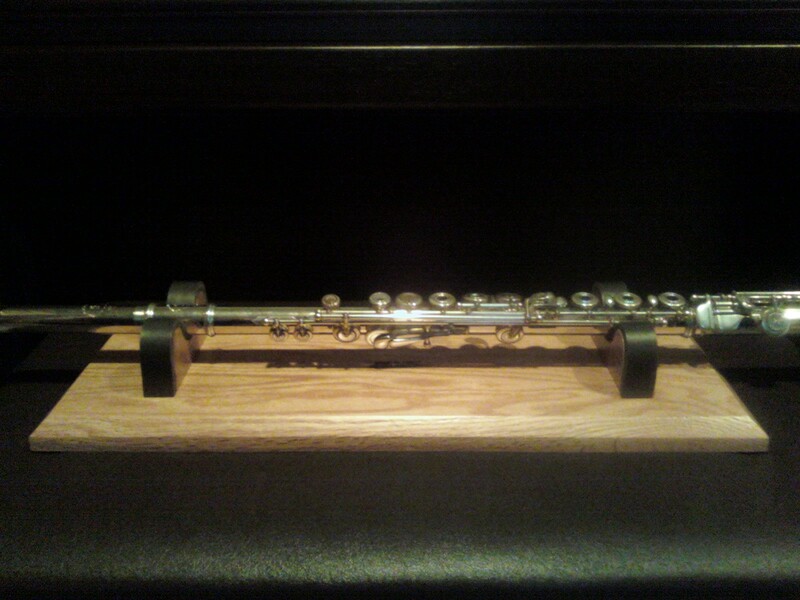 My New Handmade Flute Cradle! I’m so excited – this thing is wonderful. I remember my university professor having something like it, but when I looked online, I couldn’t find anything matching its description. I’ve been calling it a flute “cradle.” If someone knows it by a different name, let me know! Anyway, my first flute teacher also happens to be a carpenter, so I asked him to make one. 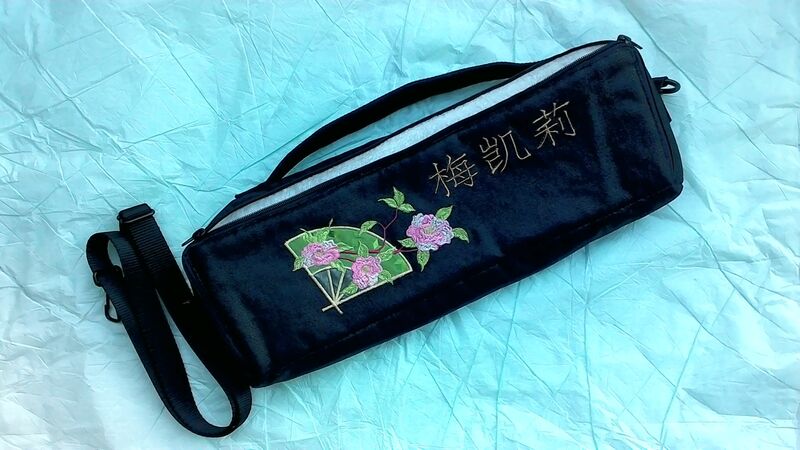 I can’t imagine a better person for the job – being a flutist, he took care to be sure that the padding contacting the flute did not allow it to roll forward causing the Ab key to hit the wood. I very much prefer this to a vertical stand/peg. It is so much more stable, and unlike the peg, will not cause my footjoint to bend. I do plan to use it in concert as well. I recently subbed for someone on flute and piccolo, and my instrument stand was a toddler stepstool with a black cloth thrown over it, sitting on the floor next to me. I plan to use the same setup, with the addition of my fantastic new flute cradle. I. Must. Have. This. Bag. I thought I’d take a minute to say something about the importance of having the beginner’s flute serviced. If the flute is new, this shouldn’t be much of a problem. If it’s a rented instrument, the rental agent should ideally have serviced the flute themselves after it was returned by the last renter. However, many people figure that for the cost of renting, they can buy a basic used flute, and then if the student quits, they can at least sell the flute and recoup some of the cost. While that may or may not be true, what often happens is that people don’t think to have the flute serviced by a technician. This is really very important to do. I’ve come across numerous beginning students that were still struggling to play well into the school year due to a flute that was grossly out of adjustment and/or the pads of which were in bad shape. Either or both of those things can prevent the production of sound, but the beginner student, not knowing this, usually thinks this is their own fault. The cost of having the instrument examined should be fairly minimal. Some instrumental music teachers are knowledgable enough to be able to test the instrument and check for leaks — parents would do well to check with the teacher about this. 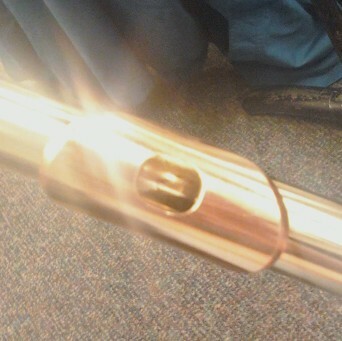 If the teacher can’t tell (not everyone has a strong background in flute playing, if their focus has been on other instruments), then it’s worth it to find a local technician who should be able to examine the flute, fairly quickly determine if there are problems, and provide an estimate of what it would cost to fix those problems. In our economy, it’s hard to pony up the cash for things that seem “extra.” But having the flute examined in the beginning of the school year is really vital to ensuring that your young student has a successful start.